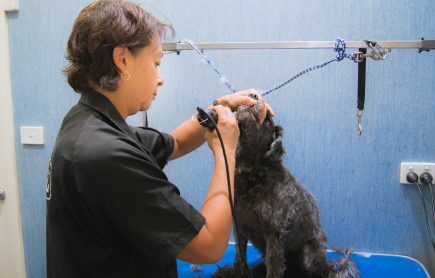 We offer a professional dog grooming service here at the clinic all day on Tuesdays, Wednesdays, Thursdays and Fridays. Our groomers have been working in the veterinary industry for over 12 years and have a wealth of experience clipping many different breeds. Sally and Tania are happy to tailor trims, clips and washes to the individual preferences and needs of you and your pet. The ladies will assess your pet’s skin and coat before selecting a suitable shampoo and conditioner, and will notify you if she identifies any health problems during the grooming appointment. Ear cleaning and nail clipping are included in the grooming fee. Phone the hospital on 9807 9222 to make a booking. Drop your dog off at the hospital at a prearranged time. When you drop your dog off, the groomers will discuss with you what sort of cut you would like done. We will call you once they are ready for collection. 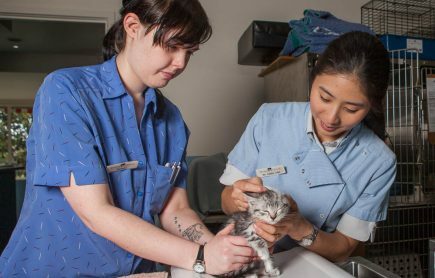 We also have our dedicated Hydrobath facilities located in our hospital, where you can either wash your dog yourself, or our nurses can do it for you! Call the clinic to make a booking or check out some of our photos on Facebook!